Women with naturally straight hair go through such pains to curl their hair during special occasions because curly hairstyles are feminine, romantic and flattering. So if you’re blessed with lush curls, all you need to do is learn which cut suits you the most, and use the right products to maintain the beauty of your curls. The main reason why many women like to wear curly hair styles is because it gives you sensual. 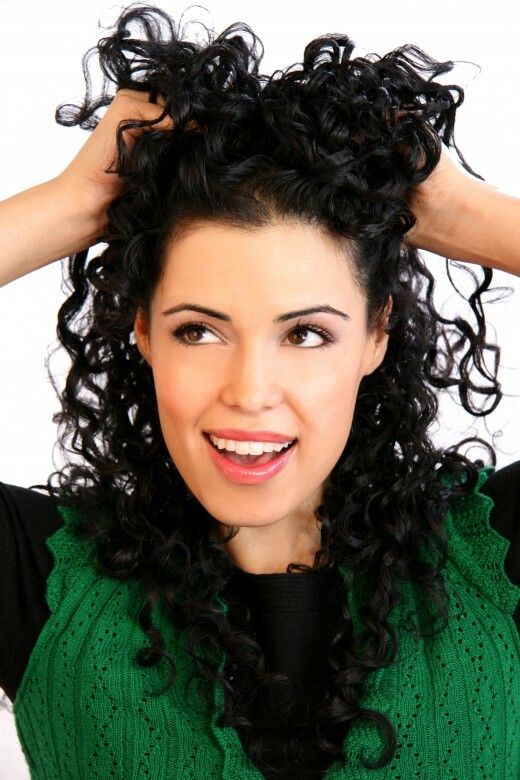 Here are ideas to create curly hair styles by yourself. You can use curling iron but make sure you go for one inch barrel all over the head and tucked it so it does not flip out which should actually flip down. These long, medium and short curly romantic hairstyle for 2012 are the party-perfect style options if you want to go glam with your look. I hope you will have liked these curly hairstyles for 2012. Feel free to share your comments with us. Don’t forget to subscribe to our RSS-feed for recent updates.